In the present manuscript, a new numerical scheme is presented for solving the time fractional nonlinear Klein-Gordon equation. The approximate solutions of the fractional equation are based on cubic B-spline collocation finite element method and L2 algorithm. The fractional derivative in the given equation is handled in terms of Caputo sense. Using the methods, fractional differential equation is converted into algebraic equation system that are appropriate for computer coding. Then, two model problems are considered and their error norms are calculated to demonstrate the reliability and efficiency of the proposed method. The newly calculated error norms show that numerical results are in a good agreement with the exact solutions. Kumara D., Seadawy A. R. and Joardare A. K., “Modified Kudryashov method via new exact solutions for some conformable fractional differential equations arising in mathematical biology”, Chinese Journal of Physics, 56: 75–85, (2018). Sohail A., Maqbool K. and Ellahi R., “Stability analysis for fractional-order partial differential equations by means of space spectral time Adams-Bashforth Moulton method”, Numerical solution for Partial Differential Equations, 34: 19–29, (2018). Singh J., Kumar D., Hammouch Z. And Atangana A.,” A fractional epidemiological model for computer viruses pertaining to a new fractional derivative”, Applied Mathematics and Computation, 316: 504–515,(2018). Tasbozan O. and Esen A.,” Quadratic B-Spline Galerkin Method for Numerical Solutions of Fractional Telegraph Equations” Bulletin of Mathematical Sciences and Applications, 18: 23-39, (2017). Bulut F., Oruç, Ö. And Esen A.,” Numerical Solutions of Fractional System of Partial Differential Equations By Haar Wavelets” Computer Modeling in Engineering & Sciences, 108 :263-284,(2015). Nagy A. M., “Numerical solution of time fractional nonlinear Klein–Gordon equation using Sinc–Chebyshev collocation method”, Applied Mathematics and Computation, 310:139-148,(2017). Lim S. C. and S. V. Muniandy. "Stochastic quantization of nonlocal fields." Physics Letters A 324: 396-405(2004). Kheiri H., Shahi S. and Mojaver A., “Analytical solutions for the fractional Klein-Gordon equation”, Computational Methods for Differential Equations, 2:99-114,(2014). Mohebbi A., Abbaszadeh M. and Dehghan M., “High-Order Difference Scheme for the Solution of Linear Time Fractional Klein–Gordon Equations, Numerical solution for Partial Differential Equations”Numerical solution for Partial Differential Equations, 30: 1234-1253.(2014). Lyu P. and Vong S., “A linearized second-order scheme for nonlinear time fractional Klein-Gordon type equations”, Numerical Algorithms, 78:485-511,(2018). Khader M. M., Swetlam N. H . and Mahdy A. M. S., “The Chebyshev Collection Method for Solving Fractional Order Klein-Gordon Equation”, Wseas Trans. Math, 13: 31-38,(2014). Alqahtani R. T., “Approximate Solution of Non-Linear Fractional Klein-Gordon Equation Using Spectral Collocation Method”, Applied Mathematics, 6: 2175-2181,(2015). Li C., and Chen A., "Numerical methods for fractional partial differential equations." International Journal of Computer Mathematics 95: 1048-1099, (2018). Liu Y. , Khan M., and Yan Y.,"Fourier spectral methods for stochastic space fractional partial differential equations driven by special additive noises." 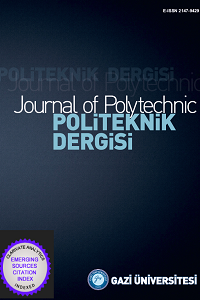 Journal of Computational Analysis and Applications 24: 290-309, (2018). Yuste S. B., “Weighted average finite difference methods for fractional diffusion equations”, Journal of Computational Physics, 216:264-274 ,(2006). Prenter P. M., “Splines and Variational Methods”, Wiley, (1975).